GROBAN IS back on the road! Josh Groban is on tour and will be performing near you soon! With over 20 million records sold in the US, Josh Groban is arguably the most popular singer-songwriter in the country after hits from his five albums, including 'Closer' and 'Awake'. He's also one of the few classical singers to have successfully managed to transition to Broadway, having stared in the 2016 epic Natasha, Pierre & The Great Comet of 1812. This year, make sure you catch Josh perform live! Delivered in typical Groban style, his inimitable talent is backed by a full orchestra, bringing out the absolute best in this pop-operatic tenor. Full of new material, opera favorites and Broadway classics, this outing promises not to disappoint Grobanites old and new! Sound good to you? 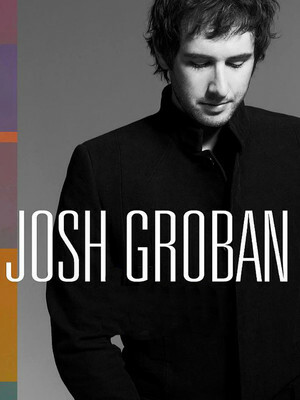 Share this page on social media and let your friends know about Josh Groban at Ravinia Pavillion. Please note: The term Ravinia Pavillion and/or Josh Groban as well as all associated graphics, logos, and/or other trademarks, tradenames or copyrights are the property of the Ravinia Pavillion and/or Josh Groban and are used herein for factual descriptive purposes only. We are in no way associated with or authorized by the Ravinia Pavillion and/or Josh Groban and neither that entity nor any of its affiliates have licensed or endorsed us to sell tickets, goods and or services in conjunction with their events.